We use mobile analytics software to allow us to better understand the functionality of our Mobile Software on your phone. This software may record information such as how often you use the application, the events that occur within the application, aggregated usage, performance data, and where the application was downloaded from. We do not link the information we store within the analytics software to any personally identifiable information you submit within the mobile app. We use a third-party service provider to serve ads on our behalf across the Internet and sometimes on this site. This service provider may collect non-personally identifiable information about your visits to our website. They may also use information about your visits to this and other websites to target advertisements for goods and services. You may opt out of having your anonymous information collected by our customizing service by visitinghttp://optout.netmng.com/optout.php. If you select the "opt out" button there, we will delete your existing netmining.com cookie(s) and place a new cookie that instructs us not to track your future activities when we detect that cookie. If your browsers are configured to reject cookies when you visit this opt-out page, it may not be possible to set the no-track cookie. If you subsequently erase your cookies, use a different computer or change web browsers, you may need to opt-out again. If you would like more information about this practice and to know your choices about not having this anonymous information used, please visit the Mediaplex web site and view the privacy statement athttp://mediaplex.com/mojo_privacy_statement.shtml. We request Personal Information from you in our online booking area. You must provide contact information (such as name, address, phone number and email address) and financial information (such as credit card number, expiration date and other information) in order for us to process your reservation. This information is used for billing purposes and to reserve a room or rooms at La Quinta or one of its affiliated brands. If there is a problem with a reservation, the information may also be used to contact you. Your email address will be used to send promotional specials only if you sign up to participate. If a contest is occurring on the website, your information may be used to automatically enter you in the contest and to notify all winners. In order to become a member of the La Quinta Returns™ frequent stay program, you must first complete an enrollment form. During enrollment, a new program member is required to provide certain contact information (such as name, address, phone number, email address and other information). We use this information to create a member profile of your prior stays at La Quinta hotels, your future stays at La Quinta hotels, the current number of program points accumulated, and other information in which you've expressed an interest. The program user may, at his or her option, provide demographic information (such as income level and gender), financial information (such as credit card number, expiration date, etc. ), and unique identifiers (such as username and password), among other information. The provision of such information enables us to provide a more personalized experience for our program members on our website and to direct pertinent communications to them. You can unsubscribe at anytime from the Email Exclusives program by visiting www.lq.com/unsubscribe, type in your email address, and click on the "Submit" button. Except as otherwise provided in this paragraph, when you stay in La Quinta Hotels, your personal information will not be shared with other parties for marketing purposes. Communicating to past guests via email is the most environmentally friendly and responsible way to communicate; therefore we make a strong effort to acquire the email addresses of those guests that stay with us. If there is not an email address associated with your stay record, La Quinta will utilize a third party matching service to match your personal information with your email address. This third party matches data based on first name, last name, address and phone number to public partner data within their database. When a determination of a match is made, La Quinta will then send verification via email to 1. See if the email address is deliverable, 2. Ask if you want to receive email, and 3. Give you a chance to opt out. If at that time you opt out, you will no longer receive email from La Quinta. If you do not opt out you will be added to our offers emails which will be sent approximately once per week. If at any time you receive email from La Quinta and you wish to opt out/unsubscribe, please visit www.lq.com/unsubscribe and type in your email address, click the check box next to unsubscribe at the bottom and hit submit. You can also unsubscribe from any email by clicking the unsubscribe link in the bottom of the email. We store information that we collect through cookies, log files, clear gifs, or third parties to create a profile of users of our website. A profile is stored information that we keep on visitors or customers that details their preferences. Consequently, collected information is tied to the user's Personal Information to provide offers and improve the content of our website for the user. This profile is used to tailor a user's visit to our website, and to direct pertinent communications to them. A cookie is a piece of data stored on the user's computer tied to information about the user. We use both session ID cookies and persistent cookies. At any given time, our website may have any number of simultaneous users making reservations or updating information on our website. In order to keep track of what function a user is performing in our website at any particular time, the system assigns a unique identification number for each user. This is referred to as a Session ID. We use Session ID cookies to store a unique session ID so that we can keep track of user interactions with the system at any particular time. As one might expect, when there are 50 or 100 users on the system at the same time all performing simultaneous operations, it is imperative that a unique ID is appended to each user operation so that the system can respond with the right information to the right user. The cookie performs this function. It is created and stored on the user's machine the first time a user receives a response from the server. The cookie terminates, or is deleted, from a user's computer when he or she closes the browser. We use persistent cookies only when a user gives one of our website permission to place a cookie on his or her hard drive. A persistent cookie is a small text file stored on the user's hard drive for an extended period of time. This option stores all customer information in the form of a cookie on your computer, which will automatically apply your profile data to future reservations. No credit card information will be retained as a result. If you are using a public or shared computer, we recommend that you deselect the checkbox for Remember Me to disable this function. We do use tracking technologies within email communications in order to more effectively tailor offers to your needs, as well as allow us to understand booking information from email responses. We currently use the Apache SSL Web Server to protect the information that you provide to us through our website. Secure Sockets Layer (SSL) encrypts information and keeps the data private and confidential between your computer and LQ Management LLC. This technology helps to make it safer to transmit your credit card number over the Internet. We follow generally accepted industry standards to protect the personal information and email addresses submitted to us, both during transmission and once we receive it. No method of transmission over the Internet, or method of electronic storage, is 100% secure, however. Therefore, while we strive to use commercially acceptable means to protect your personal information, we cannot guarantee its absolute confidentiality or security. If you have any questions about security on our website, contact us using our online Customer Support form. We send all visitors who book reservations at our hotels an email confirming their reservations. We send all new La Quinta Returns™ program members a welcoming email to verify password and username. Established program members will occasionally receive, via email, information on products, services, special deals, and a newsletter. If you would like to opt out of receiving these types of communications, please login to your Returns account on LQ.com, click on my profile to unsubscribe from email. We send all new La Quinta Returns™ program members a welcoming email to verify password and username. Established program members will occasionally receive, via email, information on products, services, special deals, and a newsletter. If you would like to opt out of receiving these types of communications, please go towww.lq.com/unsubscribe, type in your email address, and click on the "Submit" button. On rare occasions, it is necessary to send out a service related announcement. For instance, if our service is temporarily suspended for maintenance we might send users an email. Generally, users may not opt-out of these communications. However, these communications are not promotional in nature. We communicate with users on a regular basis to provide requested services and, with regards to issues relating to their accounts, we reply via email or phone, as directed. 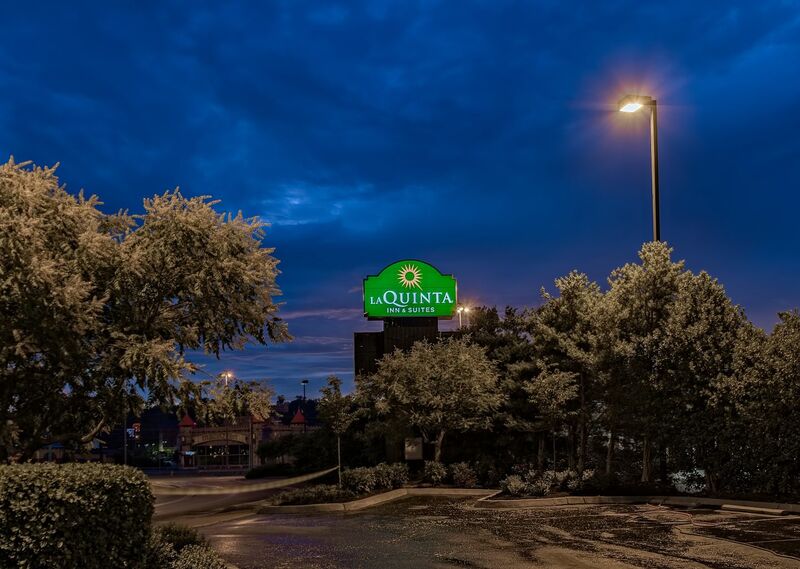 We may, from time to time, use your email information gathered through our website for the electronic marketing of a La Quinta hotel, or our other products or services, or the products and services of third parties with whom La Quinta has a strategic partnership. If you do not wish to receive these electronic marketing materials, please see the Choice/Opt-out section below. Though we make every effort to preserve user privacy, we may need to disclose Personal Information when required by law when we have a good faith belief that such action is necessary to comply with a judicial proceeding, a court order, legal process. or governmental investigation, or if we have a good faith belief that it is necessary to protect our rights or property. A request to opt out made on our website will only apply to our use of your Personal Information given to us on our website and not to uses of your Personal Information that is obtained by us through other sources. We may make Personal Information available (under an obligation to keep the Personal Information confidential) to a prospective buyer or successor of La Quinta. In the event of a merger, asset sale, reorganization, restructuring, liquidation, bankruptcy proceeding or similar transaction involving La Quinta or our website, and we may share, sell, or otherwise transfer your information to the buyer or successor company. We do not share your Personally Identifiable Information including email address with third parties for their promotional purposes, except as noted below. We may combine non-personally identifiable information supplied by our users, such as geographic or other generic information, and use such information to describe our user base, without reference to any specific individual information, to our potential partners, investors and advertisers. We will not link this statistical information to any user's Personal Information that can identify such user as an individual. If a user elects to use our technology for informing a friend about hotel booking information or other information regarding our website, we ask the user for the friend's name and email address. La Quinta will automatically send the friend a one-time email presenting them with information originating from our website. The friend may contact La Quinta using our online Customer Support form to request further information on this feature of our website. If you would like to modify or request deletion of your the Personal Information including email address that you have provided to us through our website or mobile applications, you may do so by updating your profile atwww.lq.com/updateprofile. La Quinta Returns members may modify their personal information online by accessing their La Quinta Returns account at www.lq.com/returns or may cancel their account by calling 1-800-RETURNS (738-8767). We will respond to all access requests within 30 days. All Personal Information collected from you, with your permission for purposes of making a reservation at one of our hotels, may be accessed and modified by contacting the hotel where your reservation is held. We share email activity data with select marketing companies to help them better target email deployments sent on behalf of their clients. While those select marketing companies may have access to email addresses and email activity, and may share bulk/non-specific activity data, no email addresses or specific email activity are shared with other third parties. Should a consumer wish to opt out of this sharing, that consumer needs to opt out of email communications from us. To opt out of targeted advertisements delivered by our advertising delivery partners, go to http://www.networkadvertising.org/managing/opt_out.asp or http://preferences-mgr.truste.com/. Our customers and visitors are given the opportunity to 'opt-out' of receiving our electronic newsletter and promotional communications by notifying us through our website. To opt-out, visit www.lq.com/unsubscribe, type in your email address and click on the "Submit" button. If you do opt out, we will use your personal information only (a) as necessary to respond to your inquiry, and make a record of it; (b) as necessary to provide any goods or services, including hotel reservations that you have specifically requested, and to make records of these transactions; and (c) for inclusion in statistical or demographic profiles that we use for general marketing purposes. Although personally identifiable information is used to compile the profiles, we use the profiles only as aggregate data, without reference to personally identifiable information. You can also unsubscribe from any email by clicking the unsubscribe link in the bottom of the email. Our websites provide links to third party websites. When you click on one of these links, you are leaving our website and entering another website that we do not control and for which we cannot be responsible. You should carefully review the privacy statements or policies on any other website that you visit because those privacy statements or policies will apply to your visit to that website and may be very different from our policy. If we make material changes in our information and email collection and use practices, we will notify you by means of a notice on our home page.